If this works, it’ll be really cool. 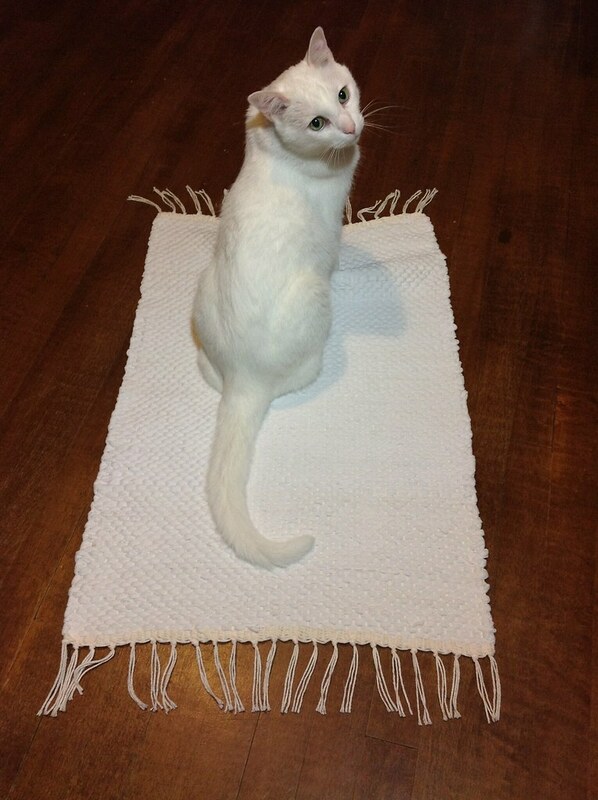 I’m afraid it won’t be square once it’s off the loom. This first row was 45 picks! After a few stumbles, I warped up the Emilia with lavender alpaca and began weaving a shawl. Why Do I Need Another Loom? Why? Hmmm…. Can I come up with a reason? Oh yeah! I don't have one to take to work for lunchtime weaving–doesn't everyone have lunchtime weaving?–until now. It's on its way… a teeny tiny rigid heddle loom, brand new and from Ashford, called the SampleIt. With only an 8" weaving width, I think I can actually carry it in a small bag (like the one I bought years and years ago for knitting) and store it in a drawer. Not that I'll keep it at work all the time–I may need it for weaving while watching a movie (it fits on a lap!) or bringing along on weekend trips (too small to say nope, that's too big to tote along). Somehow, I avoided Cricket fever, even though I had come up with a list of reasons why a small rigid heddle loom was right for me. But with Christmas right around the corner, my husband bought this one for me as a gift. So, there's yet another reason–it's a gift! I have to accept it. … it's a slippery slope! 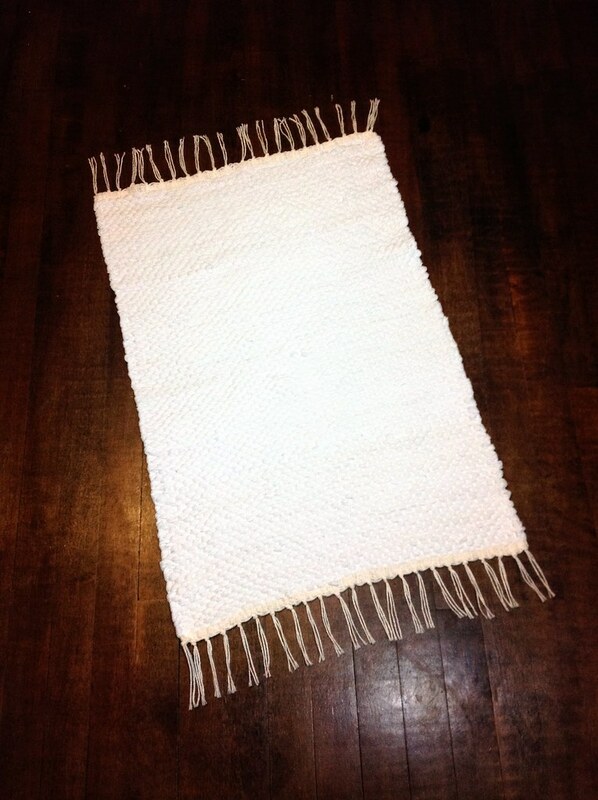 Posted on December 19, 2012 Categories Rigid Heddle Loom, WeavingTags ashford, loom, rigid heddle, sampleit, weavingLeave a comment on Why Do I Need Another Loom? I've been thinking about built-in warping boards ever since I watched the commerical for a Clover loom (available in Japan only). The warping board is shown if you forward to the 1:40 mark. Here's a first try at adapting an expandable clothing rack to create a warping board on the Emilia. I think I could get twice as long of a wap if I zig-zag from side to side instead of go around in a circle. It looks strange, but it worked great. Take two! This time, I'm using the 24" Erica loom, the strips are a little wider, and I'm not beating the picks as heavily. I spotted this video while looking at Saori weaving videos earlier. It's an infomercial for a rigid heddle-type of loom made by the Clover (Hana-Ami) Company from Japan. I've seen similar rigid heddle looms where the heddle rotates or rocks and looks like a block of wood. What strikes me the most is the efficiency in warping. The loom has a built-in warping board that keeps the warp in place and under tension. It's simply rolled onto the warp bar after the ends are snipped. I wonder if this type of thing could be adapted to other rigid heddle looms. The board/pegs would need to fit in the frame of the loom and also have enough pegs for a decent length of warp. It makes me think! This tiny scarf was fun to weave but is not so fun to wear. It's stiff and always has creases after being worn. Maybe I chose the wrong pattern? I should have stuck with my first instinct and knitted a scarf. 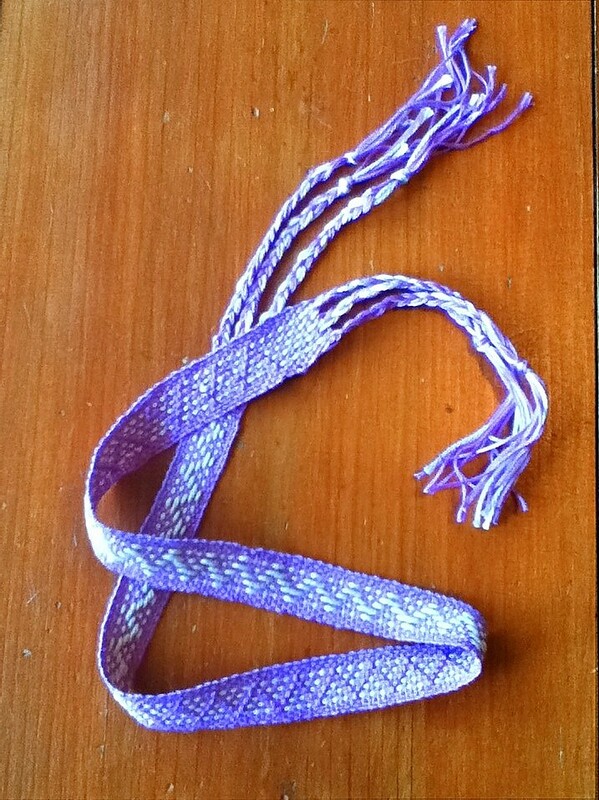 I'm learning to weave Norwegian Krokbragd as Jane Patrick teaches in The Weaver's Idea Book. My first attempt is on the small but mighty Wonder Weave. The scarf is coming along nicely.